Brooklyn, NY - American Opera Projects (AOP)’s Board of Directors announced today the appointment of two new inspiring, artistic leaders who will continue the organization’s 30-year legacy of creating contemporary opera in the US. Effective July 1, 2019, Matt Gray, who currently serves as AOP’s Producing Director, will become General Director, and Mila Henry will join the company as Artistic Director. Matt Gray currently serves as AOP’s Producing Director, where he oversees production of the company’s workshops, programs, and premieres. He began at AOP as an office manager in 2003 while working on independent films and theatre in New York City. He was later promoted to Projects Manager and then, in 2008, Producing Director. He will continue to serve as Head of Drama for AOP's opera writing training program Composers & the Voice and as the company’s resident dramaturg and stage director. Gray was chosen as a participant in OPERA America’s Leadership Intensive for 2019, a program designed to identify and bolster the careers of the most promising professionals in the field of opera. 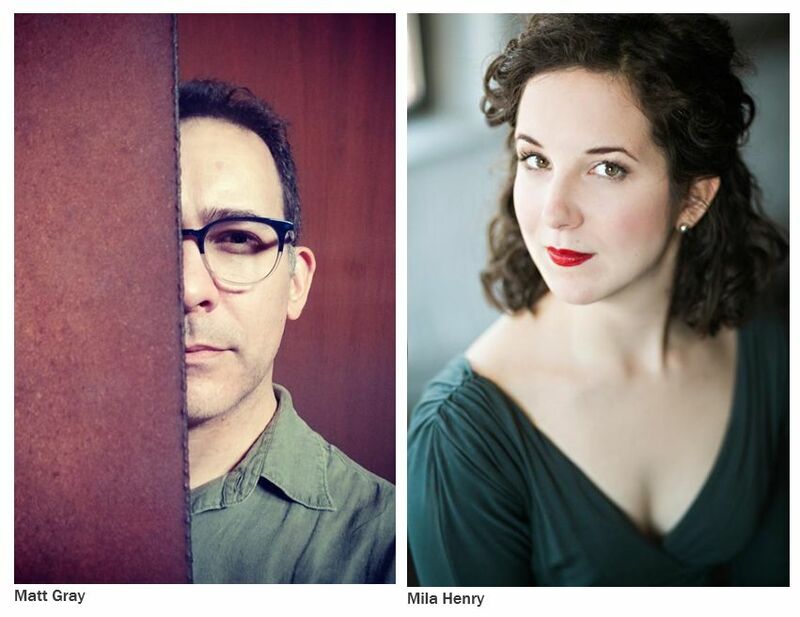 Mila Henry, “a stalwart contributor to the contemporary opera scene” (Opera Ithaca), comes to the Artistic Director position as a sought-after interpreter of new theatrical works spanning opera, musical theater, chamber music, and hybrids of all three. Henry worked at AOP from 2010-2014 where she rose from Artistic Intern to Resident Music Director before leaving to pursue an active freelance career. As a music director, pianist, and vocal coach, she has shaped new operas with the American Lyric Theater, Beth Morrison Projects, HERE, PROTOTYPE, and Opera on Tap, among others, while continuing to work with AOP on various projects and serving as Head of Music for its Composers & the Voice training program. Matt Gray’s appointment follows Charles Jarden’s announcement earlier in the year to the AOP Board his intention to step down as General Director. Jarden will remain with the company to complete strategic initiatives. Under Jarden’s leadership, American Opera Projects grew into a leading force in contemporary opera, with innovative shows and development, training, and community programs that have received national attention. Matt Gray has a Bachelor of Fine Arts in Film Directing from the University of North Carolina School of the Arts. He began at American Opera Projects in 2003 never having seen an opera, but quickly relied on his background in film and theatre to develop AOP projects from the point of view of an audience member unfamiliar with opera, but well-versed in popular entertainment and modern storytelling. Outside of his opera producing, he has continued to work as a writer and director for numerous concerts, cabarets, and plays around NYC. He was the co-writer and co-director of the 12-part serialized play Penny Dreadful which ran at the Brick Theater in Brooklyn for two years and was also one of five directors on the award-winning indie horror anthology film The Moose Head Over the Mantel, which will be released on Blu-Ray and streaming in January 2019. In May 2019, Gray will direct the chamber opera As One at Kaufman Music Center in a co-production with AOP and New York City Opera. He previously directed it at Chautauqua Opera in 2018 with Sasha Cooke and Kelly Markgraf and its European premiere in Berlin (2016). A versatile player, Mila Henry has collaborated with numerous companies in the opera and theater world, including the American Lyric Theater; Beth Morrison Projects, HERE and PROTOTYPE (traveling to LA Opera with Thumbprint); Experiments in Opera; OPERA America (premiering the song cycle Fierce Grace: Jeannette Rankin at Library of Congress); Opera on Tap; Opera Philadelphia (traveling to Dutch National Opera with We Shall Not Be Moved); and Pittsburgh CLO. She recently led the hybrid music-theater event Words on the Street (Baruch Performing Arts Center) and will helm the double bill Liberation/Enchantress at Opera Ithaca this April. She served as Vocal Director for the Obie-winning folk opera The World is Round (Ripe Time), and regularly rearranges the classics with the band Opera Cowgirls. At American Opera Projects, Mila Henry has served as an Assistant Producer for Out Cold (BAM); Orchestra Contractor for Model Love (Lincoln Center); Assistant Conductor for As One (BAM), The Blind (Lincoln Center) and Harriet Tubman: When I Crossed That Line to Freedom (Irondale Center); Répétiteur for In the Penal Colony; and Music Director for three seasons of AOP’s opera writing lab at NYU’s Graduate Musical Theatre Writing Program. Currently celebrating its 30th anniversary, American Opera Projects (AOP) is at the forefront of the contemporary opera movement through its commissioning, developing, and producing of opera and music theatre projects, training programs for student and emerging composers and librettists, and community engagement. The company is recognized for its cross-genre experimentation in works such as Darkling (Weisman/Rabinowitz, 2006), an interdisciplinary work combining poetry, music and projection, and the dance chamber opera Hagoromo starring Wendy Whelan (Davis/Pelsue, BAM, 2015); stories of African-American history including The Summer King (Sonenberg/Nester/Campbell, Pittsburgh Opera, 2017) and Harriet Tubman: When I Crossed That Line to Freedom (Okoye, Irondale, 2014); and numerous groundbreaking works on LGBTQ themes like Paul’s Case (Spears/Walat, UrbanArias, 2015), Patience & Sarah (Kimper/Persons, Lincoln Center Festival, 1998) and As One (Kaminsky/Campbell/Reed, BAM, 2014), the most widely produced contemporary opera in the U.S. and Canada during the 2017–2018 season.